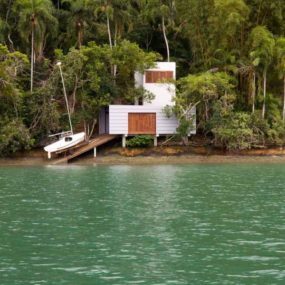 Want to bring the coast right to your home? If so, giving your home beach vibes may be the way to go. Living such a hectic life on a daily basis may not allow you to go on vacation or even visit the beach as often as you would like. 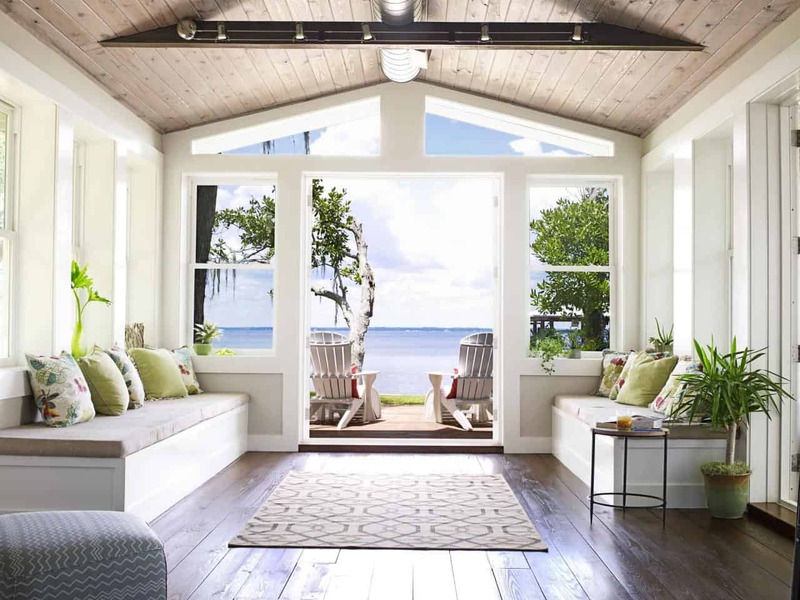 Giving your living space a décor upgrade that includes beach chic items can make your home have the vacation feel you have always wanted. 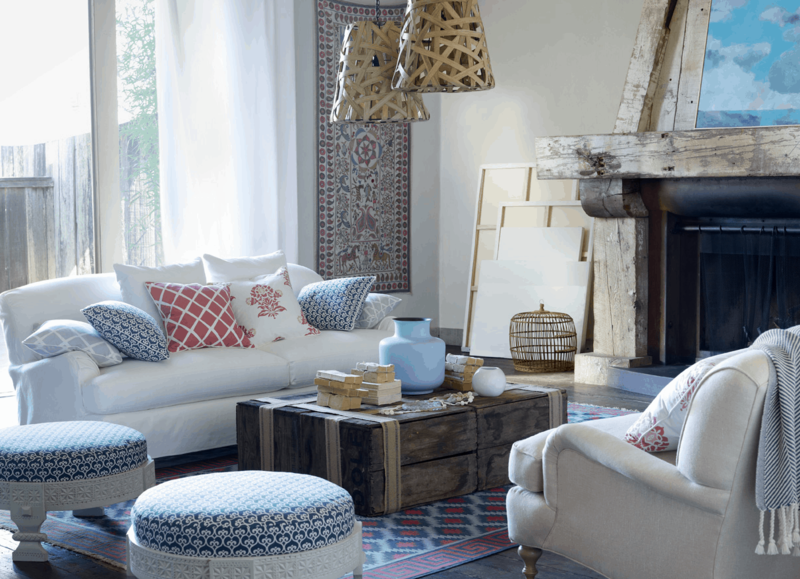 Instead of transforming your home into an entire beach house, consider having beach chic items that give it the beach vibes without completely changing your décor. 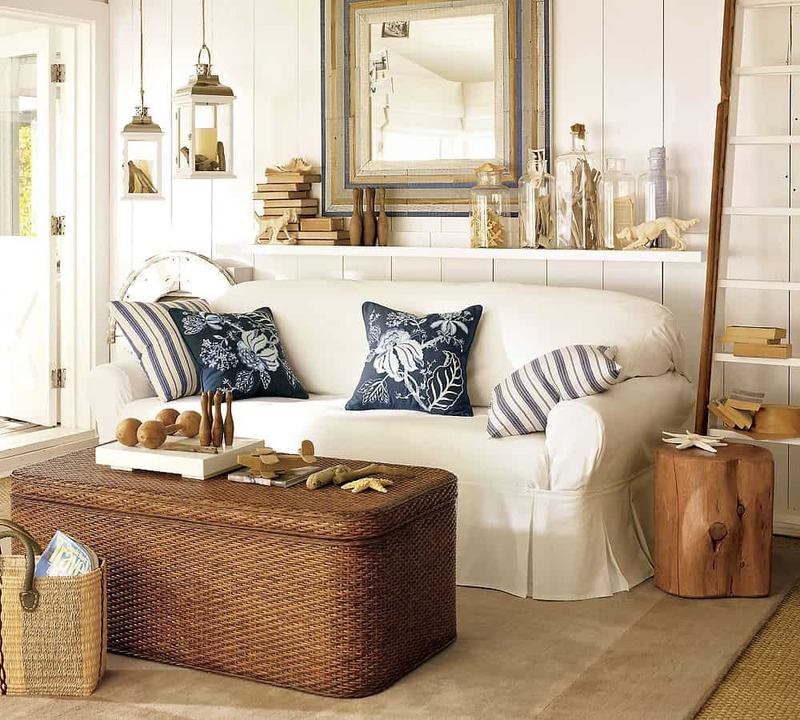 Here are some ideas that will help you incorporate some beach aspects into your living space to give your home a vacation feel all year round. What screams beach more than the color white? 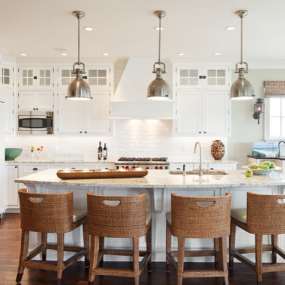 The color white is an excellent option when it comes to decorating the interior of your home because of how well it helps give the illusion of a bigger space. For a coastal upgrade add pops of yellow for a sunny twist to a typical white space. A delicate shell chandelier may be just what your home needs to give it the coastal vibes you seek. They are a subtle yet elegant way to incorporate beach chic into your home. 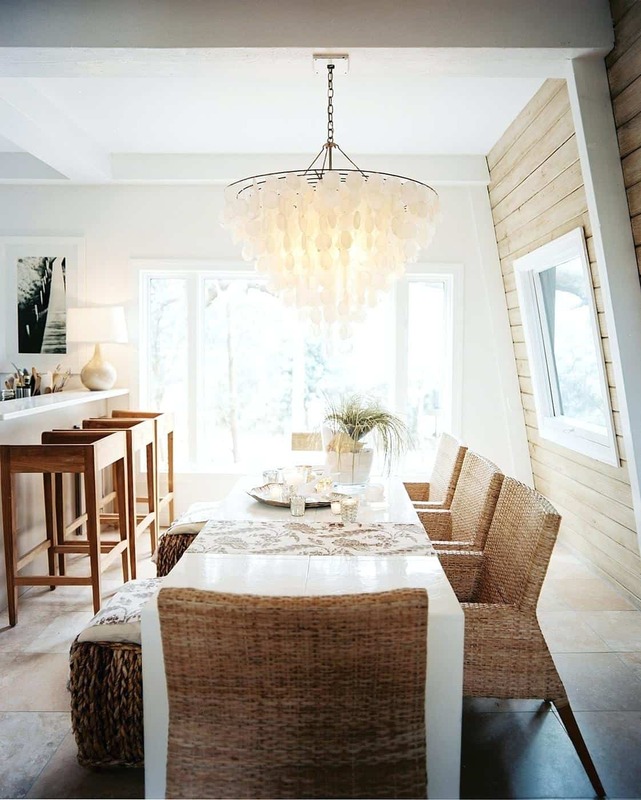 Replace your crystal chandelier for a shell chandelier for a beach chic upgrade to your living space. 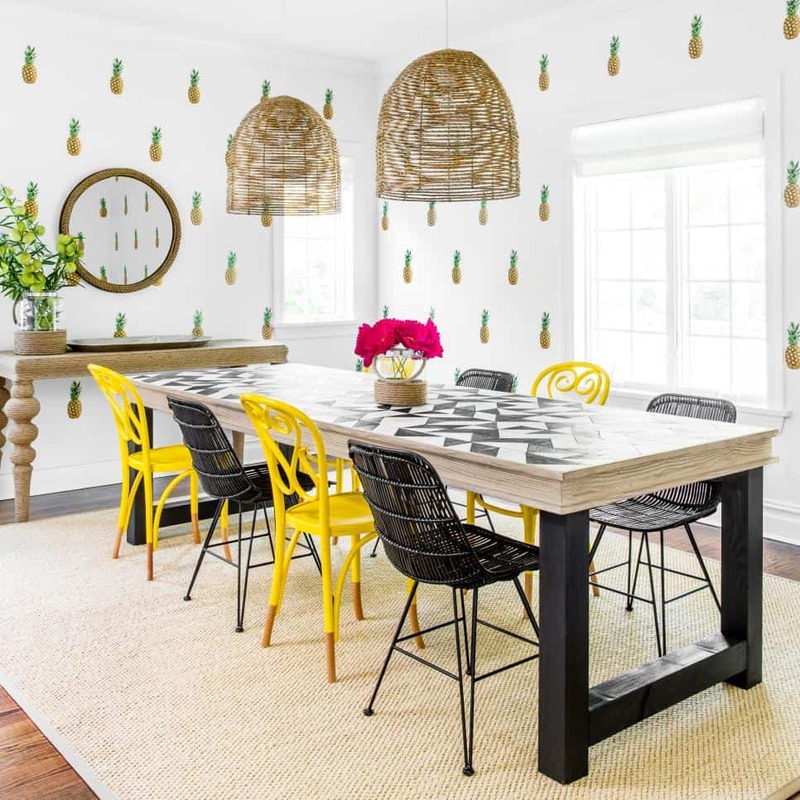 Bring the outdoors in by interchanging your dining table for one with rattan chairs. 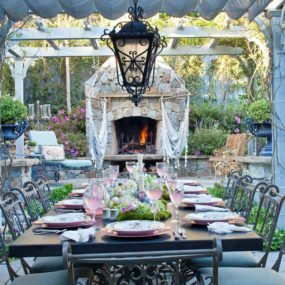 Rattan chairs have always been part of outdoor tables as the material is thicker and can withstand hazardous weather conditions. However, they are a beautiful addition to any indoor room. 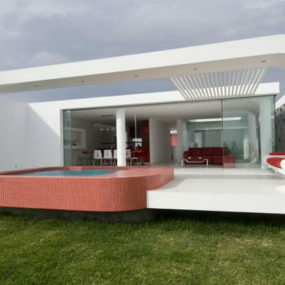 They also add beach vibes to the space as you would normally see them outdoors on a beach, on a deck or at a resort. 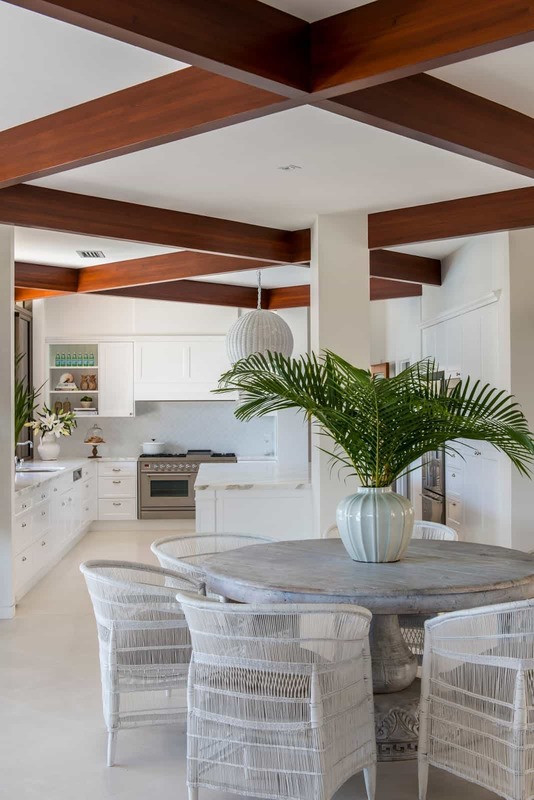 Consider using light wood for the table as the idea is to create a light and airy space. When you think of beach chic your first thoughts may be the color blue. However, for an upgraded look add pops of red. Pops of red essentially brighten up the space you are decorating. It makes the room appear less nautical and more-chic. Throw in some beach inspired pillows to complete the look. Nothing screams beach vibes quite like sea shells. Sea shells are a perfect decorating item when you want to add beach vibes to your living space without adding an abundant amount of colors. Print out some sea shell images and frame them to create a photo gallery that you can interchange depending on your mood or the season. You can also choose to have sea shell pieces added to your dining table to bring the sea right to your dining room. 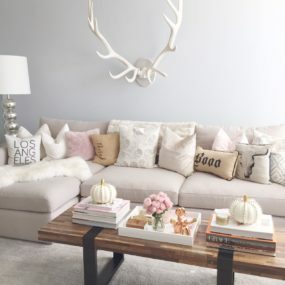 Throw pillows are always essential when you are redecorating a space. 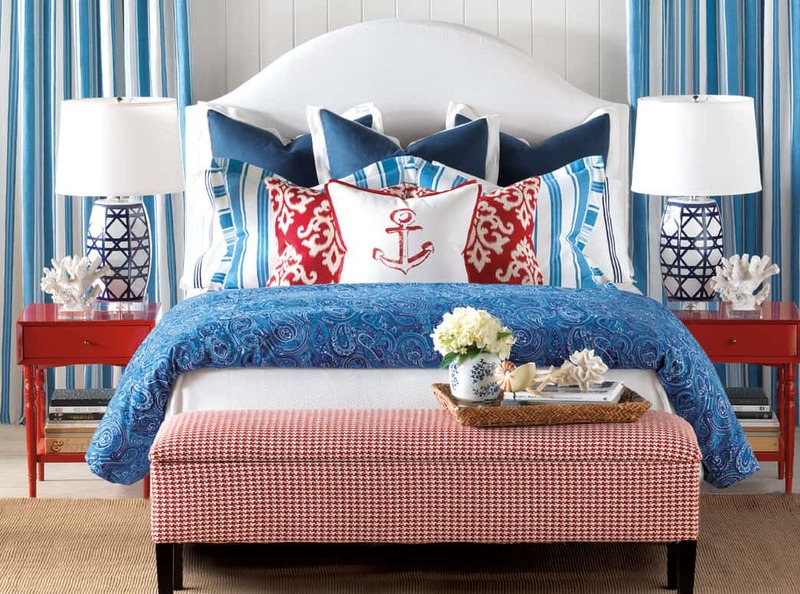 Change your throw pillows for ones that have nautical patterns and/or prints in shades of white and blue. This will help bring the entire look together. When decorating and adding beach chic to your home think of a smooth color palette. 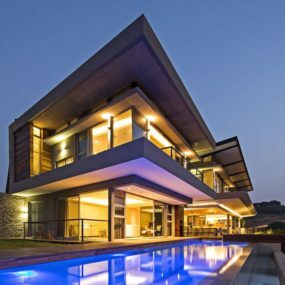 Consider tones such as white, pastels, blues, ivory and off white. 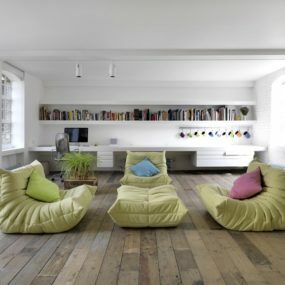 These tones will bring in the relaxing feel you seek while still giving you a clean palette to work with. The cozy texture provided by woven accessories is the perfect addition to any room. They are laid back and easy to pair with other items. Add them to your dining table as an under table rug or as placemats. You can also decorate with woven accessories having them as candle or mirror holders around your home. Adding lanterns can bring light to your living space in a chic yet contemporary manner. 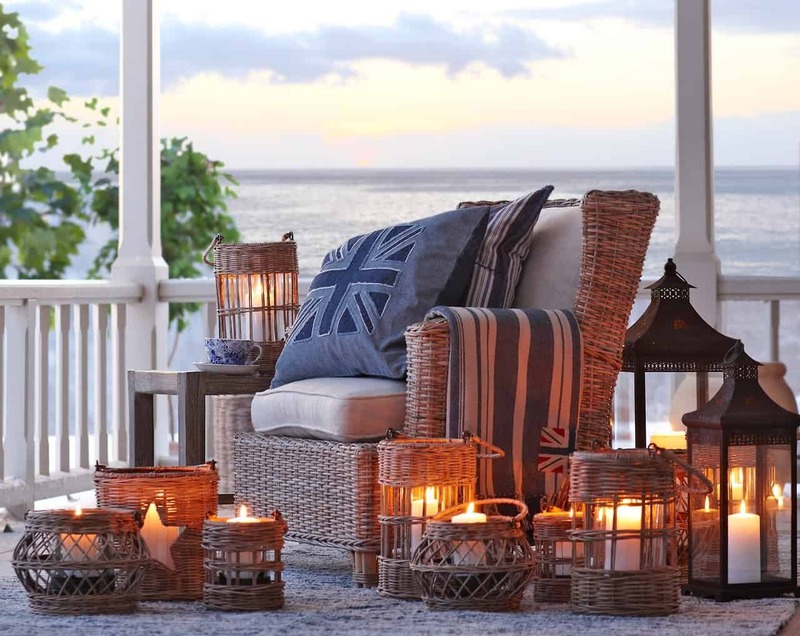 You may want to fill these lanterns with candles for a romantic twist on a nautical item. Preferably you want to choose a lantern that has a light tone exterior. This will work best to tie the entire look together. Darker tones can essentially be a bit overwhelming when you are working with a nautical theme. 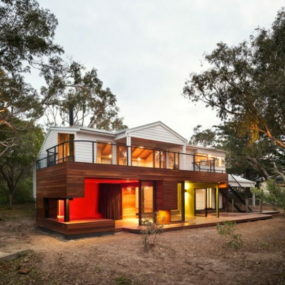 Combining quirky colors together helps give your living space the playful and relaxed feel beach homes are known for. Combine bold colors such as pinks, yellows and orange or even red with more muted tones such as mahogany and black for the ultimate contrast. Or consider adding a wallpaper to your space with a funky item and/or pattern. 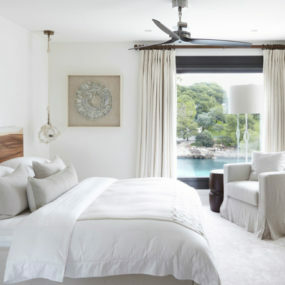 Upgrading your space to include beach chic doesn’t have to be difficult. In fact, it can be quite easy when you add pieces and accessories that work well together. Let us know below which beach chic idea is your ultimate favorite.